Three Republicans are vying Tuesday to replace Sen. Jeff Flake, who is retiring after his fierce criticism of Trump made his political future in the state untenable. Three Republicans are vying Tuesday to replace Sen. Jeff Flake, who is retiring after his fierce criticism of Trump made his political future in the state untenable. All three, including establishment favorite Rep. Martha McSally, have embraced Trump and distanced themselves from McCain — a sign of how far the late senator’s status had fallen with conservatives who dominate Arizona’s GOP primaries. The outcome of the primary will be closely watched by Arizona Gov. Doug Ducey, who must name a replacement to fill McCain’s seat for the next two years. McCain died Saturday after a yearlong battle with brain cancer. Arizona is one of three states holding elections Tuesday. 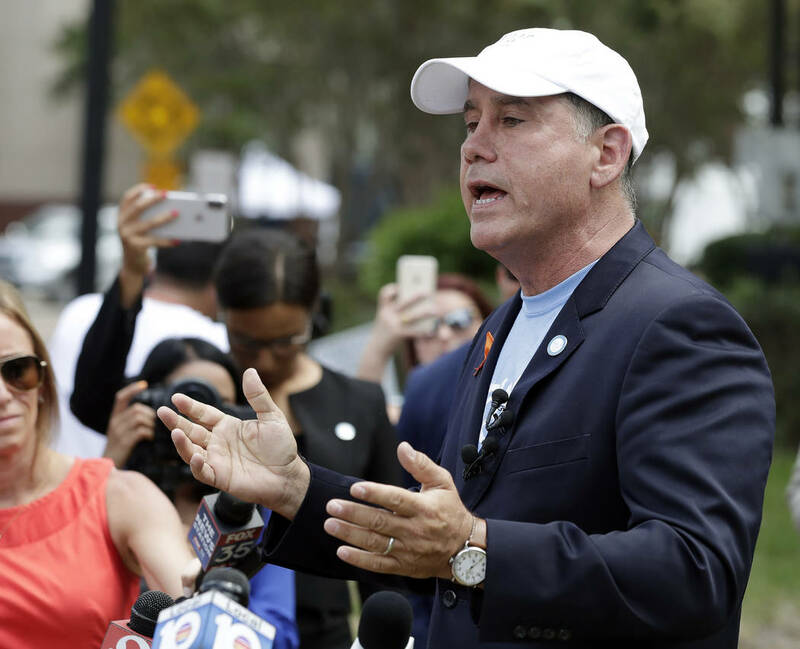 Voters participating in Florida’s primary will tap nominees for governor, a position that will give the winner’s party an advantage in a key political battleground heading into the 2020 presidential campaign. A diverse Democratic field includes candidates who are hoping to be the state’s first female or first black governor. Trump appears to have tilted the Republican race toward Rep. Ron DeSantis, whom he endorsed late last year. McCain’s death has highlighted anew the shift in the Republican Party since he captured the GOP nomination for president in 2008. With a consistently conservative voting record, McCain was elected to the Senate by Arizonans six times, including in 2016. But his more moderate stance on immigration and his deciding vote last year against Trump’s efforts to repeal President Barack Obama’s health care law turned off many GOP voters. Among those on the ballot in Arizona is former state Sen. Kelli Ward, who tried unsuccessfully to unseat McCain in 2016. When McCain’s family announced last week that he was discontinuing medical treatment, Ward speculated in a later-deleted Facebook post that it was intended to hurt her campaign for Flake’s seat. McSally, a fighter pilot turned congresswoman in the McCain mold, is hoping Ward and Arpaio split Arizona’s anti-establishment vote. While Trump hasn’t endorsed a candidate in the Senate race, he’s spoken favorably about McSally and she’s appeared alongside the president at the White House. The winner of the GOP primary is likely to face Democratic Rep. Kyrsten Sinema, who faces only token primary opposition. 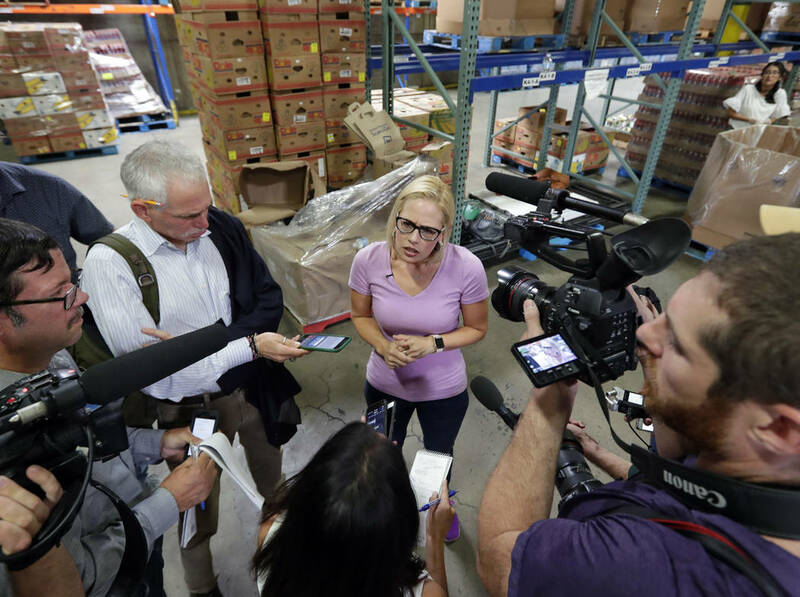 Sinema announced that she was pausing her campaign Wednesday and Thursday, when McCain’s body will lie in Arizona’s Capitol. Sinema and McSally’s Senate runs also create House openings in Arizona, a fast-growing and increasingly diverse state where Democrats are eager to gain a foothold. McSally’s district in particular is expected to be one of the most competitive House races in November’s general election. Nine Democrats are vying to succeed Ros-Lehtinen, including Donna Shalala, who served as President Bill Clinton’s Health and Human Services secretary, and Bettina Rodriguez Aguilera, a former city councilwoman who claims she was abducted by space aliens as a child. Gov. Rick Scott, a close political ally of Trump, is expected to coast through his primary bid for Senate, setting up a showdown with Democratic Sen. Bill Nelson. Scott’s decision to run for Senate has sparked a scramble for the governor’s mansion in the nation’s third-largest state. 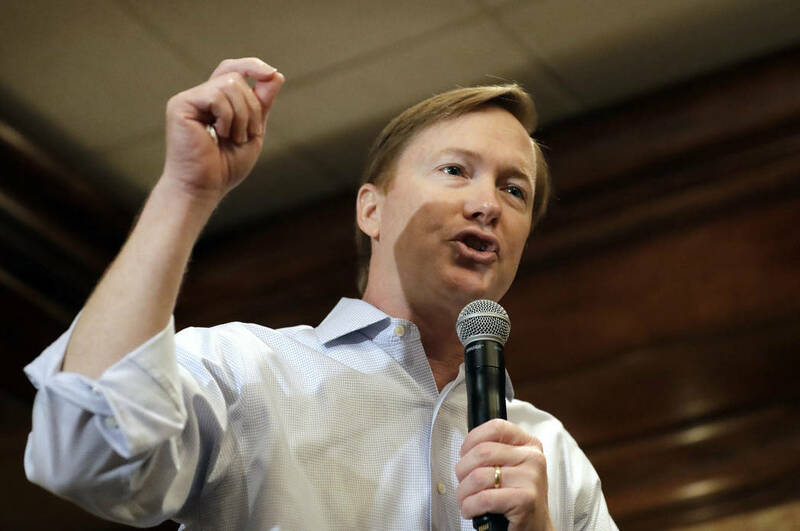 Republican Agriculture Commissioner Adam Putnam, who has held elected office in Florida since 1996, quickly built up establishment support and raised millions of dollars. 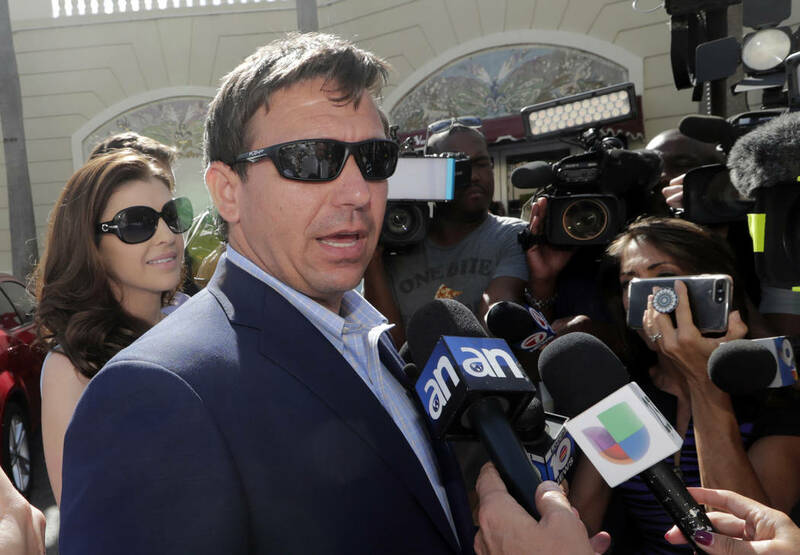 But Trump’s surprise endorsement of DeSantis in December appears to give the congressman an edge heading into Tuesday’s contest. The Democratic field is the most crowded since 1978, the year Bob Graham eventually won the governor’s race. 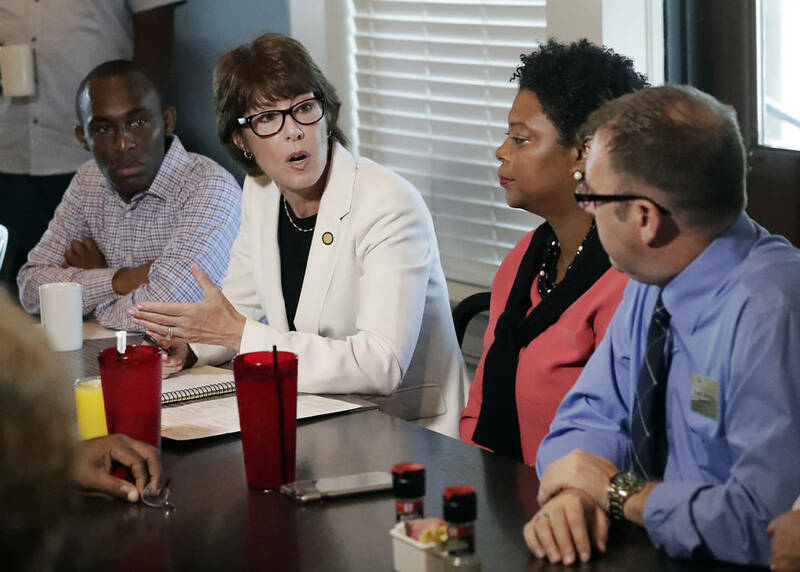 Graham’s daughter, former Rep. Gwen Graham, is on the ballot this year and has been polling favorably leading up to the primary. Graham leads a diverse field. Tallahassee Mayor Andrew Gillum could become the state’s first black governor, and either former Miami Beach Mayor Philip Levine or billionaire Jeff Greene could be the state’s second Jewish governor.